Luke is a little different from other boys his age. His best friend is his Grandma. They would do everything together—walking to school, strolling in the park, and playing in the playground. That was before Grandma’s fall. Everything changed after that. She lost her way in the neighbourhood she has lived in for over twenty years. She even forgot Luke’s name. 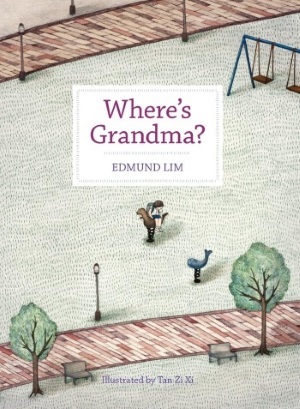 Edmund Lim tells a poignant story of how one boy copes with losing his beloved Grandma to Alzheimer’s disease only to discover something more powerful. Tan Zi Xi’s sensitive illustrations capture the pathos brilliantly.